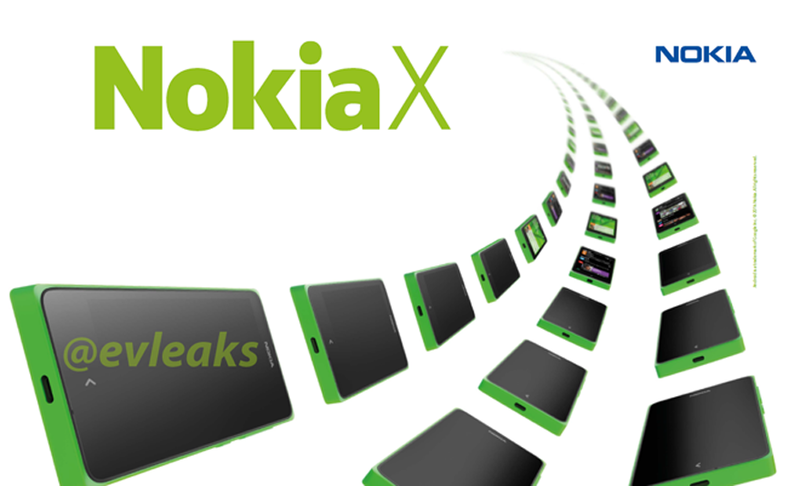 The heavily leaked Android-powered Nokia Normandy might be known as the “Nokia X” when it hits the retail shelves. A couple of renderings have already creeped its way online and another one, courtesy of reputable device leaker @evleaks, brings possible confirmation of what looks to be the Nokia X in a vibrant Android green. It’s expected that Nokia will unveil the X at Mobile World Congress on February 24th and heading straight to wards emerging markets. Specs wise, the Nokia X will sport 4-inch display (480 x 854 pixels), 1GHz dual-core Qualcomm Snapdragon 200 processor, dual-SIM, a 512MB RAM, 4GB storage, 5MP camera and run a heavily customized version of Android 4.4 KitKat.